“Dear Sri Prasad.. Blessings.. Am really unhappy to inform you about the serious financial crisis the noble couple of Smt.M.S. Subbulakshmi and Sri.Sadasivam are currently passing through.. They are in need of an immediate attention.. Advise you to please plan something for them immediately and help them come out of the crisis at the earliest.. Good luck..”..
PVRK Prasad, the Executive Officer Of the Tirumala Tirupati Devasthanams (T T D) board received two such urgent telegram messages from His Holiness the Paramacharya of Kanchi Kamakoti Peetham Sri Chandrasekharendra Saraswati and from His Holiness Bhagwan Sri Satya Sai Baba Of Puttaparthi. Messages like that from holy giants can unnerve any mammoth personality and the poor PVRK Prasad was no exception.. However, what shocked Prasad more at that moment was not the status of the senders but the content of their message. Why is that the divine personalities advising PVRK Prasad to help M.S.Subbulakshmi.. ?? The great music queen M.S.Subbulakshmi has millions of fans all over the world and they will not keep quite if they come to know that their favorite singer is going through such an acute financial crisis. However, the music queen shall not accept any unsolicited favor from anyone whatsoever and it’s now for the Tirumala Tirupati Devasthanams (T T D) board to plan something for her immediately and see that she’s also adequately compensated for that. T T D had successfully done that earlier and something similar should be done now and that’s also what the holy giants are expecting Prasad to do.. However again, it’s not as simple as it sounds and there’s no better person than PVRK Prasad to understand that. But What Exactly Happened To M.S.Subbulakshmi And Sadasivam..?? “M.S.Subbulakshmi and Sadasivam have sold off their Kalki estate in Madras and moved into a small rented house in Valluvar Kottam, a desolate place those days, in the suburbs of old Madras”.. “Sadasivam was running a newspaper, by name Kalki, in Madras and that unfortunately ran into huge losses forcing the noble couple to resort to such an extreme measure of selling off their huge assets to repay their loans ..”.. This unpleasant information really saddened P V R K Prasad, a great fan of M.S. Subbulakshmi. Wiping off his tears, he stood right in front of the large portrait of Lord Sri Venkateswara, that’s there in front of him in his E O chambers on the holy Tirumala hills,and made a humble submission. “She gave concerts all over the world and although she could have demanded any amount of money she wanted to,from the concert organizers,she was always happy with whatever she was offered..She donated almost all her earnings from those concerts to charity and now at this last stage of her life is this what you are offering her Swamy..? ?..Don’t you think this is unfair…??..”. “Secondly Swamy, they are also couple of high self esteem and do not seek favors from anyone not even from YOU.. Then how do you expect them to lead a normal life hereafter.. ??.. Am really feeling sorry for them now and don’t know what to do.. Swamy Sri Venkateswara, it is for You to help me now in doing something for this great music queen immediately..”. 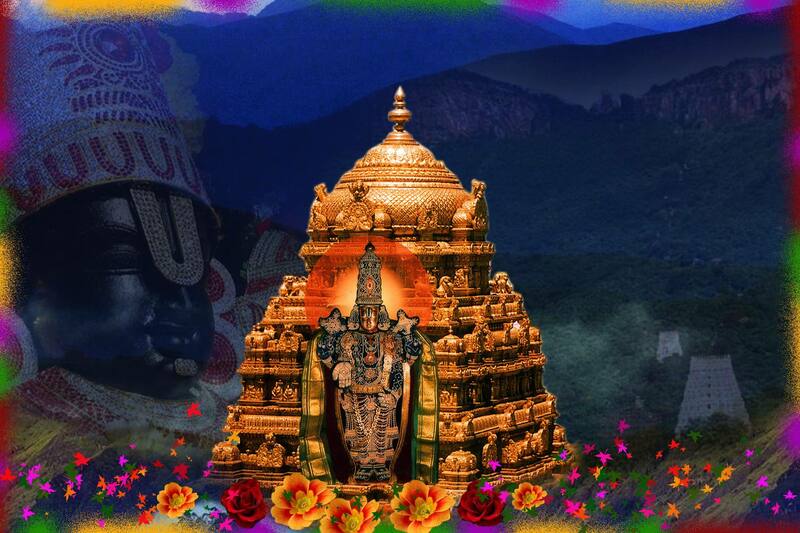 PVRK Prasad called for an emergency meeting of the Tirumala Tirupati Devasthanams board and asked for some quick measures from all it’s experts to provide whatsoever relief possible to M.S. Subbulakshmi immediately. “Sir, we are sorry to hear about the pathetic state of Smt.M.S.Subbulakshmi and Sri. Sadasivam, today.. However sir, it is also our duty to remind you that Smt. Subbulakshmi is already the Asthana Vidwan of Tirumala Tirupati Devasthanams board and is as such enjoying some honorarium and privileges from us..”. “Although we are all very eager to help her out in this hour of crisis sir, we are however afraid that there’s nothing much we can do at this moment.. Even otherwise the T T D board is answerable to the ministry of endowments and is not empowered to take certain decisions on its own..”. Using every word carefully and sounding extremely official and diplomatic in their statement this is what the typical diplomats of the state government told Prasad that day..
What a tricky situation for the TTD board, that sincerely wants to offer some quick relief to a great music queen like M.S. Subbulakshmi, who at that moment, deserves a prompt and more appropriate attention..
After offering his prayers, Prasad was slowly walking out of the main temple and exactly at that point of time a very small incident occurred there.. Quite miraculously, this small incident later went on to herald a golden era in the history of Indian classical music. Here, please forgive me for the inconvenience.. When I have originally written this story in 2012, millions have read it all over the world.. However, what caused me immense pain was, many have copied it and posted it wherever they wanted to. I have myself received this story many times through email and WhatsApp.. Even popular newspapers have copied this story and published it in their newspapers.. Deeply hurt with the unscrupulous attitude of all such thankless people, I have removed this story from this site and published it in my book, God On Call, released in Hyderabad in March, 2017. Many readers all over the world are crazily buying this book and are immensely thanking me for presenting this powerful book to the world.. Am sure, you too will be thankful to me for this life changing book. Now, please Click Here to buy God On Call – a powerful book on Lord Sri Venkateswara with 12 spellbinding stories that are based on real life miraculous incidents.